Shraddha Ritual; The ritual invocation of several generations of ancestors or ‘pitars’ is deemed compulsory for Hindus. For Hindus, Shraddha is a ceremony that must happen in order to ensure that the souls of their loved ones who have died will enter the next world safely and soundly. Its name comes from the Sanskrit word that means “anything or any act that is performed with all sincerity and faith.” Shraddha, Sanskrit śrāddha, also spelt sraddha, in Hinduism, a ceremony performed in honour of a dead ancestor. What exactly is Shraddha though? The rite is both a social and a religious responsibility enjoined on all male Hindus (with the exception of some sannyasis, or ascetics). The importance given in India to the birth of sons reflects the need to ensure that there will be a male descendant to perform the shraddha ceremony after one’s death. 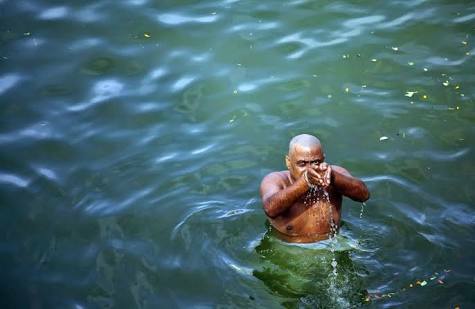 Pitru Paksha starts one or two days after Ganesh Visarjan. Pitru Paksha is also known as Mahalaya Paksha. The last day of Pitru Paksha is known as Sarvapitri Amavasya or Mahalaya Amavasya. This is the most significant day of Pitru Paksha. If the death date of the deceased person in the family is not known then his or her Shraddha can be performed on Sarvapitri Amavasya. The rite is performed for the deceased father, grandfather, and great-grandfather and also for the mother, grandmother, and great-grandmother. It is intended to nourish, protect, and support the spirits of the dead in their pilgrimage from the lower to the higher realms, preceding their reincarnation and reappearance on Earth. The rites are performed between the 11th and 31st day after death, depending on caste traditions, and at regular intervals thereafter. The first annual death anniversary is observed by a shraddha ceremony that enables the deceased (preta) to be admitted into the assembly of forefathers (pitri). During Shraddha ceremonies, feasts and gift-giving gatherings occur. These events stem from the Hindu belief that whatever is given away by surviving loved ones will eventually find its way in the hands and stomachs of those who have died. The most common gifts tend to be metal vessels and cash. Shraddhas can last anywhere from a single day to several weeks. The feasts can range from intricate gatherings filled with lots of food to ones that serve only rice, vegetables and traditional chapati bread. Pindadan is the offering of rice, cow’s milk, Ghee, sugar and honey in form of Pinda (rounded heap of the offering) to the ancestors. Pandadan should be done with whole-heartedness, devotion, sentiments and respect to the deceased soul to fulfil it. Tarpan is the offering of the water mixed with black sesame (तिल), Barley (जौं), Kusha grass (कुशा) and white flours. It is believed that ancestors are appeased by the process of Tarpan. Feeding the Brahmin is must to complete the Shraddha ritual. Offering to the crows are also made before a food is offered to the Brahmin.